The loveable veteran Queen Elizabeth 2 is portrayed in foggy conditions near the coast of England, sometime around the late 1980's. A late afternoon sun filters through the fog to burnish her vast flank in reflected gold. Behind her, in the mist, a tall school ship ghosts by. 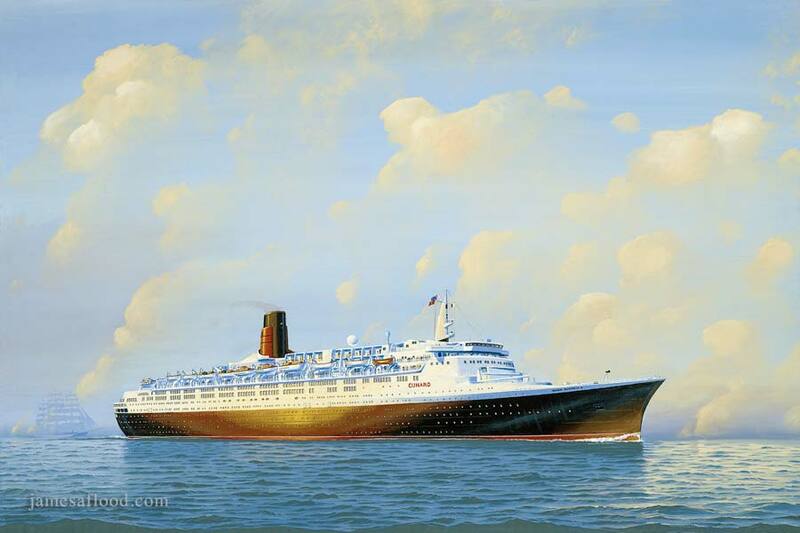 One of the best loved ships today, she represents the epitome of British quality, a viable bridge between the classic liners of the thirties and forties and today's giant cruise ships.